This outfit pretty much defines my style. Casual and glamorous. I love being able to dress up a basic grey t-shirt and boyfriend jeans, both of which are wardrobe staples for me. I found this sequined jacket at Zara on major sale (it was $20!) and couldn't wait to bring it home and wear it. It's the perfect cover up for cool evenings and I love how it instantly took my outfit from day to night. I accessorized with my favorite clutch and barely-there wishbone necklace. Happy Monday! That jacket is fab! I'd appreciate if you stopped by Tulips&Tulle soon! Ooh, Audrey I LOVE this! I need more outfits like this in my life, that perfect balance between, as you say, casual & glamorous! That cardigan is perfection, love what it adds to this otherwise casual outfit! Looking gorgeous, lady! Can't believe you only got it for $20! My best score was a top at Anthropologie for $10. Love this outfit!! Casual with a hint of glam, is always my go-to! in my eyes, this is a perfect outfit. comfy and cute jeans, magnificent heels and something shiny to top it all off. i love it! This outfit is soooo cute, perfect! Love how you styled the jacket! Which by the way, is so gorgeous. Can't believe you got such a great deal! I really like the wishbone necklace too. I love subtle, tiny pieces like that as much as I love big, bold statement necklaces! Glad I found your blog, I'm excited to follow! This is outfit is perfect. I am dying for a pair of boyfriend jeans but am worried I can't pull them off. So happy to have found your blog- you have a new follower! WOW!! I like your style! !Follow it!! Lookin' gorg as usual hun! I really love that necklace. For some reason, it caught my eye in that photo. It's so simple but so pretty! Beautiful outfit also (as always). Such an effortlessly chic look! This is my FAVORITE outfit!!! Such my style and I will definitely be taking inspiration. You are amazing with style! Lovely post! You look great! The jacket gives the jeans the whole different look,love it!The shoes are so interesting! I love this! So simple and chic. You are beautiful and I'm adoring your style! I love the hint of sparkle and the shoes and bag are perfect touch. t.s.f.d. x the suit for dreams via etsy. Love your jeans and sparkly jacket! Beautiful combination of casual and glamorous. This outfit is major perfection! Love love love that jacket, and at $20, it's such a score! This look is great I love the jacket on you! The baggy jeans, heel and sequined jacket are all just great together. Great look, love the jeans on you. great outfit! i love that zara jacket so much! Oh wee!! !Look at that gorgeous Chanel clutch! What a steal! It looks great with your jeans. I too love a good casual and glamourous look. Those jeans are my next buy- love them and been obsessing about them forever. Love the Chanel clutch! Boyfriend jeans and heels - very stylish! Absolutely gorgeous look! It is put together so beautifully. I love your jacket! anything with sequins gets my vote. love this. phenomenal look! and we are both in the same mood: distressed jeans! Great look :) I love that you're wearing slightly baggy jeans. My favorite part of this outfit is your understated wishbone necklace! Check out my blog and enter my give-away. I love the shape of those heels - they look amazing! Great outfit, as always! Great look, love the jacket and the shoes!! This outfit is really beautiful. You look so good in it.The sweater is really cool and I love the Chanel clutch. So pretty. 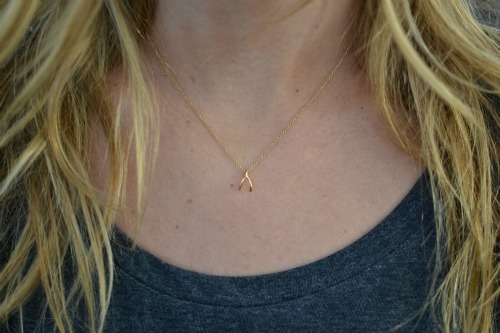 You make casual/glam look so easy :) Love the detail photo, and that little wishbone is so sweet! Have a great day. You're right, this look is so you! You look lovely! I don't find the perfect boyfriend jeans and yours are so nice. I love all your outfit. I love your style! All your outfits are amazing! You have an incredible style! I have to follow your blog. If you like mine could you follow me as well? I had to try :P Beautiful! Can't get enough of this look! So perf! Even your mani! Casual and Classy wauw !!! Love this look ! In love with your boyfriend jeans. Love how you mixed the casual look with the sparkle. Perfect. you look so pretty, love your outfit especially Chanel clutch so timeless. I love the contrast of the casual jeans against the chic Chanel clutch! OBSESSED with this look! The sequin sweater and wishbone necklace make is so fun. And casual + glamorous IS the perfect way to describe your style. Just perfection! Everyone needs some everyday glitter - this is perfect! Lovely outfit! That sweater is so cute! Loving your sequin jacket, its gorgeous! Um, I'm more than mildly obsessed with this look. The jeans are SO cute on you and I love them mixed with that fab sequined jacket! I love this look and you are gorrgeous...Oh I wow I wonder if they still have that sequins jacket over at my Zara.. Im gonna look! It's very classy and chic ♥♥♥! Adore! I simply adore this look. Catching up on all your posts and I'm just amazed and jealous of your shoe and bag collection. Dang! This is basically the definition of causal glamorous...Love it!! What a cute outfit! Loved how you styled the whole thing! :) And I can't believe that jacket was only $20! Love it when you find steals like that! Perfect! Love the sparkly jacket with the super casual jeans and tee. Great mix! LOVE your style, this outfit is just PERFECT! !